The next Snapmatic contest is now live! 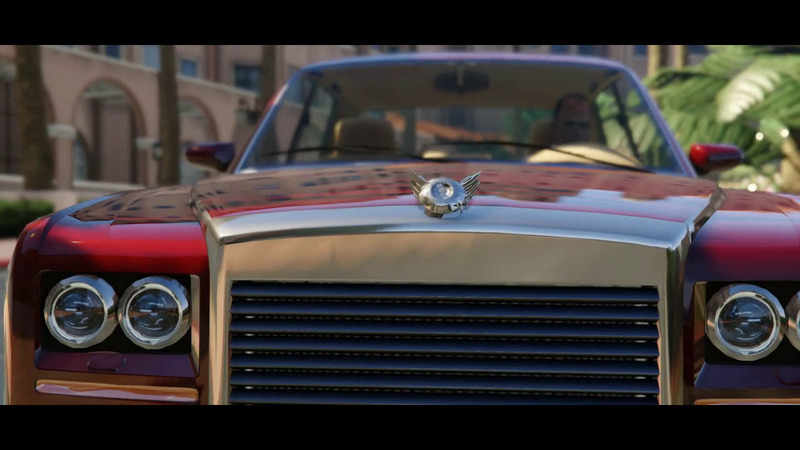 Rockstar wants you to take pics of Cargobobs - but more specifically their cargo - providing transportation services. Now's your chance to put your hook-drag-and-drop skills (and photographic prowess) to the test. Your mission: pick something up with the Cargobob; drop it where it absolutely doesn't belong; snap the most creative, impressive, beauteous or amusing Snapmatic photo of it that you can. From now through end of day Monday, April 28th, capture your wildest and most unique Cargobob drop offs and tag them with #ThanksCargobob on Snapmatic. Don't be afraid to think outside the box - strange drops are encouraged. 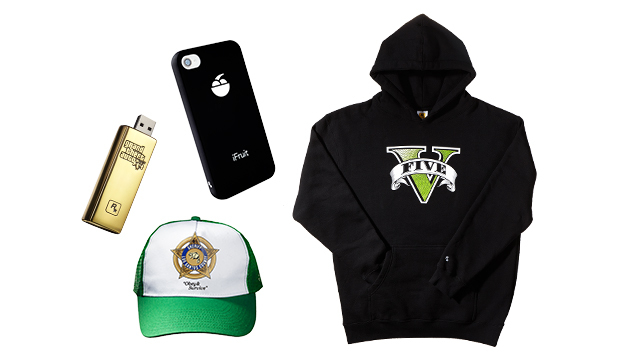 Our five favorite Snapmatic shots will be featured at the Rockstar Newswire and the winning photographers will receive GTA$1M and a deluxe Rockstar Prize Pack including GTAV tees and hoodies, a Los Santos trucker cap, a GTAV Gold Bar USB Drive, official stickers, and an iFruit phone case. To enter, Social Club members can upload photos from the in-game iFruit phone to the Snapmatic page at socialclub.rockstargames.com/gtav/snapmatic. When logged in at the Snapmatic page, you can go to "My Photos" to find your photo and add the hashtag #ThanksCargobob to automatically have it considered for entry. Rockstar adivses that you check that your contact email information is up to date in your Social Club account settings and encourage you to link your Facebook and/or Twitter accounts to your Social Club profile so that they can easily contact you to send prizes should your picture be chosen. Contest is void in certain countries and where prohibited. See official rules and eligibility rules. Have fun and good luck! Join the fun in the forums! well thats cool. lol it just came to my mind-picture of cargobob droping yellow sub in someones swimming pool. 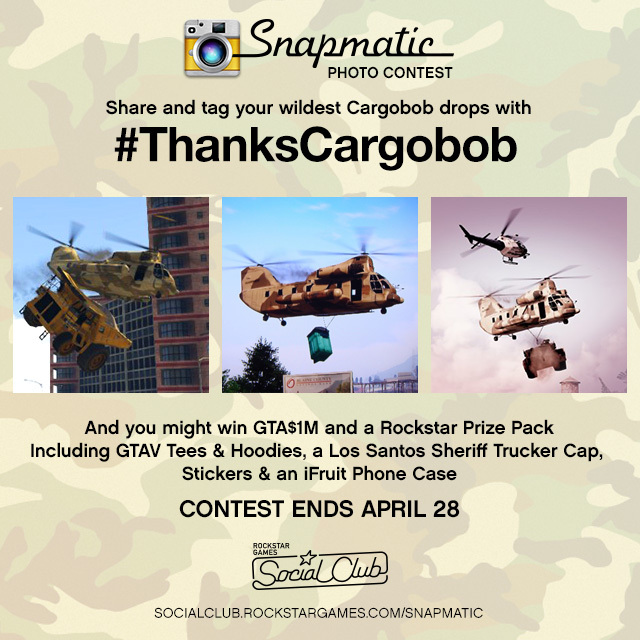 Rockstar Snapmatic Photo Contest: #ThanksCargobob - The next Snapmatic contest is live. Tag your best Cargobob drops with #ThanksCargobob to win prizes!